Always a reminder for myself that by the Grace of Allah (AJ) we are still in existence. That we took a path of trying to be nothing, and by Allah (AJ)’s Rahmah and Mercy we find our self in existence. Alhamdulillah we wanted to share for ourselves always about energy and the importance of energy and sound, and to open that reality of the importance of sound for our self. It means that in the understanding of attunement, we are talking in reference to energy and people put it into the understanding of Holy Qur’an and holy hadith. That these are from the world of malakot. These are from the oceans of iman (faith) and maqam al ihsan (station of Excellence) and above. That Ahlul Turuq, the people of haqa’iq (realities), teach that what Allah (AJ) wants, “Wa kunu min as sadiqin.” (Be withthose who are truthful). Itaqullah means have a consciousness and keep the company of these Sadiqin. They are going to dress you and bless you. And in the understanding of attunement, they have to break you down and build you back up. Means everybody in their life is vibrating and playing their own drum to their own beat. The expression is: you drum to your own beat. It doesn’t matter what somebody else is playing, you ding ding ding ding ding ding to yourself. Everybody is happy with what they are doing and the level in which they are resonating and vibrating. What you eat, what you breath, what you drink, what you do, how you do- every action is creating an energy. That energy is bringing out lights, these lights are what causes our manifestation. Means that this manifestation is manifesting, you are only seeing this world of form because there is a light. That is the quantum, the atoms and the molecules. Those lights, the colour and the spectrum and the quality of those lights are going to be based on sound. If they vibrate high, the spectrum, the quality of the light is very high. As they begin to emanate lower, the quality is lower. The light and the spectrum of the light is lower. Now, MashaAllah we live in a time where they have so many proofs, they even have the physics of sound. I recommend everybody to google and go and watch YouTube on the physics of sound, so you get the whole course in the understanding of sound. They can resonate a sound and it begins to vibrate and make forms. They can play a sound and a machine and a device that picks up that this wood has a certain frequency. Everything, not just the birds are praising, everything. The wood is praising; otherwise you would not see it manifesting. The table, the glass, me, you, our clothes- everything has atoms. 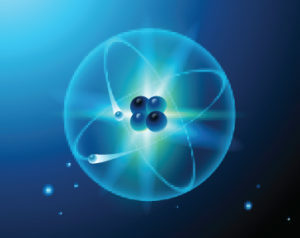 These atoms are moving, these molecules are forming- from what- from a zikr and a praise that Allah (AJ) give to it, what they call string theory, something is moving. Means from Allah (AJ)’s Dress and Sifat (attribute) upon their hearing, they can hear the praise of what Allah (AJ) want them to. They direct themself to a tree, they can hear the praise of the tree. They direct themself to a plant, they can hear the praise of the plant and the plant would tell them what its benefit is for, why Allah (AJ) created it. That becomes what they call herbal medicine. Not that they found something, they read something on the internet and they put it together and then they poisoned 10 people. But the actual herbs and plants talk to them. They have a vibration and a zikr. And if that zikr known into the heart, they’ll begin to understand from what Allah (AJ) want them to understand. The attunement on how to reach these haqaiq is that you come with how you are resonating and what you are thinking. 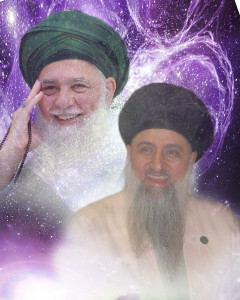 The responsibility of Ibad ar Rahman and these guides – not everybody calls themself a murshid (spiritual guide) and say, ‘I have murshid, this one is a murshid, this one is a murshid.’ No this is a title now everybody uses. These guides are from Ibad ar Rahman, which Allah (AJ) give them a very specific light and a very specific responsibility. And one of these responsibilities is on raising the frequency of insan (human being). Many are known, many are unknown; many I never even hear them speak, it’s not necessary. We’ll go into that. They are the Bluetooth awliya; they don’t need to say anything. 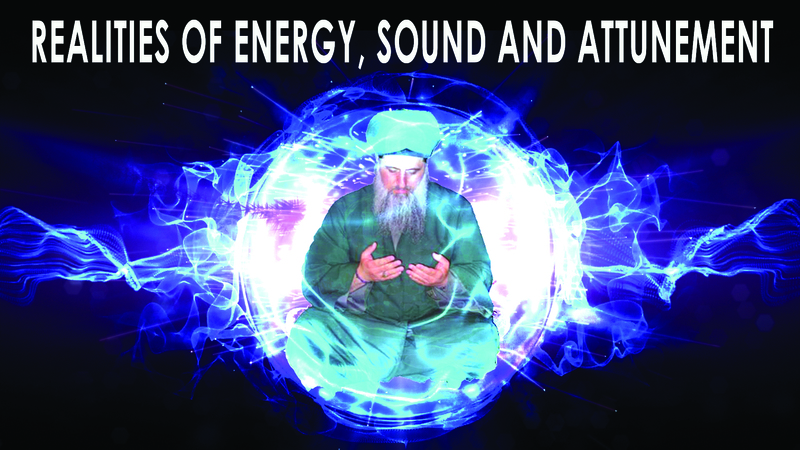 We have the awliya who speak and they vibrate and the frequency in which they are vibrating. Means they begin to teach attunement is that they have to bring down and break down that person, not physically, but through all their testing and teaching, completely re-change. How you think is not important. What you want is not important. All of those are creating a resonance, in which you are vibrating at a different frequency. So they gave an example: there is a master violinist. He makes every violin with his own hand and as a result of making everything precise. He is a master, he makes everything precise, then when he puts the cords; and sound has a tremendous reality. There are 7 notes; there are 7 verses of Fatiha (first chapter of holy Quran), there are 7 tawafs (circumambulation) around the Ka’bah. Why Allah (AJ) created these 7 notes? Because within this sound, everything is resonating. Everything is manifesting by sound. If Allah take the sound, everything collapses. That which governs him, if he knows himself. Not to know himself that he likes tacos and he likes kebabs, ‘I know myself Shaykh, I like tacos on Tuesday night and I like kabab on Saturday,’. What is knowing yourself is very deep! To know yourself, you have to go into all the realities with your guide about yourself and your whole physiology of how Allah (AJ) created you. Then everything that you think and you want and you want to do is making you vibrate at a different beat. The Guides responsibility is to break down. So when Allah (AJ) gave the Dalil (proof) of Nabi Musa (Moses) (AS) and Sayyidina Khidr (AS). It doesn’t mean you are bad. One is Kalimullah (speaks to Allah) and the other one is a beloved servant of Allah (AJ), whom Allah (AJ) gave a rahmah and then he attained a knowledge. But what Allah (AJ) wants for this reality is to break him down. Nabi Musa (AS) is coming to Sayyidina Khidr (AS), he is breaking him down. He says, ‘Me and you, we are not going to be able to do this. You are not going to have patience with knowledge that is not complete.’ Why to say that, to Kalimullah? To break now his frequency. What you want of this knowledge and the thought pattern you have, the understanding you have, the responsibility of that guide is to break everything down. Everything in his testing to confuse everything so that you begin to surrender all of that. All of the busy thoughts, all of the questioning, all of the doubt, all of these concerns that you have, taslim (submit). ‘Pray upon your Lord and submit’, and everything of Islam is submit. How you can submit to Allah (AJ) if you can’t even submit to yourself first? You are still struggling with yourself. So then they teach: submit. Why you have to doubt, why you have to have so many questions? Why you have to say something? Just submit, submit. And you begin to fight and struggle with yourself: no, no, I wanna say something, I wanna do something different. I don’t wanna be like them. If they are all wearing white, I’m gonna wear yellow and if they are all wearing yellow I’m gonna wear red. Just completely keep changing and fighting the self until you can taslim, and taslim, until you begin to shut off all your faculties. Then that master violinist, once he puts these strings, he tunes every string with his own hands. 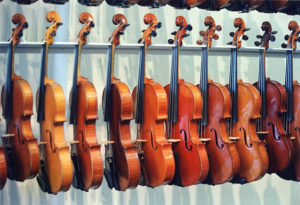 As a result of tuning every violin, then they show him put like 30 violins on the shelf. As soon as he plays one violin, they all vibrate, because he made them, he tuned them, he perfected them. As soon as he plays one cord, they are all resonating on the same cord. As soon as he plays the next cord, they are all resonating. He can play 30 to 40 of them with one he is playing and they are all vibrating. 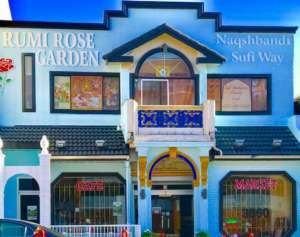 It is just an analogy, that when they break down the character, break down the ego, break down all of that identity, then you begin to taslim in the Ocean of Taslim (submission). Then they begin to build the student back up. They build the student back up with that muhabat and with that love that the student has, he begins to take from the Shaykh ‘ilm al laduni wa hikmati bis salihin. (Heavenly Knowledge and the Wisdom of the Righteous). Means he is now being breastfed by that reality. When he is taking from his Shaykh, he is taking from the 2. They say that the mother cannot feed from 1 side, you would be an oppressor to the body. You have to feed from both sides. In ruhaniyat (spirituality), you are taking from the milk and the reality of the Shaykhs. Milk represents heavenly knowledges and realities that are coming. Just like the shari’a (Islamic Jurisprudence) in dunya that if you put your child onto another woman to drink, that woman becomes a mother for the child and your children cannot marry from that family. Means Allah (AJ) want us to understand. When Allah (AJ) doesn’t care the wing of a mosquito for dunya, there must be a deep reality. That if that child takes the milk and drinks from her, she is responsible now like a mother. She is a mother for him. So it carries all of its motherly responsibility. What do you think then about the spiritual reality? That once you been brought down, the ego has been brought down, all of the business is brought down, they going to begin to feed you. And it has to be a balanced feed, where they don’t just throw out knowledges but there has to be training on hikmah, hikmati bis salihin (wisdom of the Righteous). Which now you don’t see anywhere because you hear and see people speak with absolutely no hikmah (wisdom). They just say things that are irrelevant to the crowd, irrelevant to the audience. They don’t care how the heart of those people are going to be affected by. The knowledge could be hard and immediately shock everybody in the room and want to leave Islam; or it could be so crazy, beyond the capacity of the person to understand. Because they take a book and they read it. In Surat al Mariam Allah (AJ) describes, ‘To inherit from the tongue of the sidiq al ‘Aliya,’ The tongue of the sidiqs most high, because that tongue gives ‘ilm al la duni wa hikmati bis salihin. Means you’ll be given divinely knowledges and the wisdom and the character on how to use it. So that that knowledge never harms anyone, never causes a confusion to anyone, but is a means in which to uplift and to raise people. Habl حبل – ha ح , ba ب , lam ل – hab and hub حب ,[written the same way in Arabic]. What is hablillah? One understanding from their understandings, the rope of Allah (AJ) is a hab, is a hub, and the hub points to the lam. Means accompany these people who are lovers of Sayyidina Muhammad and they are inheriting from this Lisan al Haqq (Tongue of Truth). Allah (AJ) says, ‘Hold tight to them and don’t ever separate.’ They carry hub, they carry from the ha, the Oceans of Hayat; they carry from the ba = Bahr al Qudra. Where all of Qur’an is in 30 juz, all 30 juz in Fatiha, all of Fatiha in Bismillahir Rahmanir Raheem, all of Bismillahir Rahmanir Raheem is in ba. Those Awliyaullah (saints), they carry that ba ب ; they carry the secret and the reality of Holy Qur’an. Allah (AJ) dressed them from the ha ح because they are the people of hayat, dressed them from the Oceans of Hayat (ever-living). These are Ahbab an Nabi ﷺ (lovers of Prophet ﷺ) and they are the lovers of that lisan al Haqq, the tongue of Sayyidina Muhammad ﷺ. As a result they are the ropes of Allah (AJ) on this earth, Hablilallah. And Allah (AJ) says, ‘Hold tight to them and never separate.’ As a result of holding tight to their reality, what ever they are reciting once they broke your frequency down, they build back your frequency. Means every association with them is building back your frequency to their frequency, not to your frequency. So when you empty your cup, they begin to transmit, whether they are vibrating from their tongue and their teachings or in their zikr. When they make a zikr, the vibration and the energy of their zikr is not the same as your zikr. Their vibration at a speed that not imaginable. We gave that example in Laylat al Qadr (night of Power): if you just take one of these people of Ahl al Qadr (people of Power), Allah (AJ) multiplies their amal (deed) by 30 000. Their ‘Allah’ is 30,000 of your ‘Allahs’, if you meet one of these Ahl al Qadr from Laylat al Qadr. 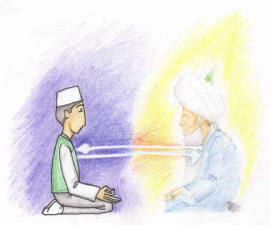 So means every zikr they are doing is changing the frequency of your light. So people who have their little brain and they see that in science. They see that you can change a frequency and things begin to change. They can take a frequency and they find the frequency of this wood, they play the frequency and this wood shatters. 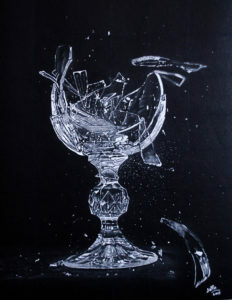 In the old days they had a opera singer who would sing high note and the glass went pow and shutter! We have to understand the science of this because the science of it is proving it to you. Means that the false level of your energy, that which you listen to, that which you build yourself, that which you are emanating in, in their presence, zahuqan. We were reading the salawat of Prophet ﷺ, that he is muhyil qulubi wa mahyi dhunubi (O’ Reviver of the hearts, O’ eraser of the Sins). 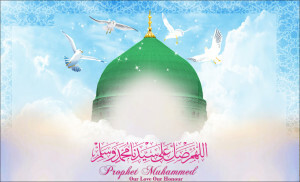 That in the presence of Prophet ﷺ’s energy, Mahyi مَاحِي means that he is going to devastate every incorrectness. He crushes it with his light as a grand intercession for all creation because the frequency is what controls. 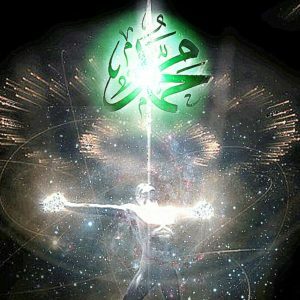 When the frequency and the hamd (praise) and why Prophet ﷺ is Muhamd (most Praised) is when the hamd of Prophet ﷺ comes, the vibration of that hamd annihilates everything. Right, the science of it, that if Prophet ﷺ’s hamd comes upon you, means make 1 salawat Prophet ﷺ said, ‘I’m going to make 10 salawats upon you. So Durood Sharif (praising on Prophet Muhammad ﷺ) is heavy, it is going to put you to sleep this energy, so try to stay awake. When this energy hit you, upon your being, everything about your frequency will shatter and be rebuilt back up, shattered and be rebuilt back up, rebuilt back up, rebuilt back up. Now the reality is whether the guides praise physically or they praise through their heart, Allah (AJ) wants us to know through technology. They say, ‘Shaykh how is this possible? 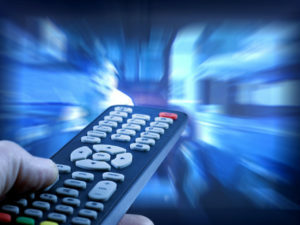 How is it possible that you have a television remote and with this remote you click and you change all the channels of your TV?’ You can do it because this television remote is an infrared light, a specific spectrum of light on the red; and the TV has the same device inside of it so the 2 can communicate. If Toshiba can build that, you don’t think Allah (AJ) builds better? 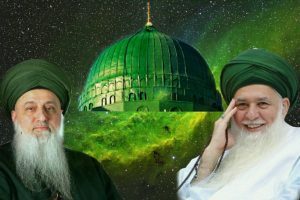 When you resonate at the frequency of the Shaykh and they build you up with these murshids and these guides, they build it within you, a specific frequency of light that they are resonating in. They have the ability to begin to flip the switches, flip the switches inside. They are more powerful than the TV remote; TV remote you change, I can change it to 7, I can change to 13 and don’t need the permission of the TV, just keep click, click, click, click. What you think then about what Allah (AJ) give to the heart of His believers? And those whom have control of their energies and their lights, that is the attunement. If you are switching constantly on a different channel because your thought is always going in a different place, that is why the breakdown. Break it down until which the person is in taslim, they are like the TV waiting for the channels to be changed. Then the frequencies of the Shaykhs are coming out. So don’t say and don’t think it’s far too difficult. How the remote is sending a frequency? Their frequencies and their powers are much more powerful. And they are reaching into the heart of people, not only in their presence, but they can reach them anywhere on dunya. Their light communicates beyond even dunya, beyond space and time cannot confine their energy because they are in the Oceans of Love. They can talk to those whom passed away thousands of years ago. Because the light and the power of light is something that unimaginable. So means not only they begin to change your frequency, then even in their presence, they don’t need to speak and this is what Allah (AJ) wants us to understand from Bluetooth. Bluetooth technology is that your telephone could be 30 feet away on a speaker but, because the device inside the speaker has an ability through that blue light and blue light technology, through your phone, you click like this on your phone. All of a sudden this sound from your phone is in the air, nobody can hear it. The speaker hears it and begins to recite. What you think then about awliya? 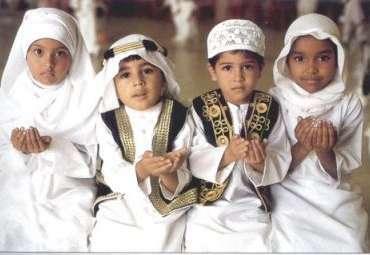 They are rebuilt by Allah (AJ) with Bluetooth technology, 1 on themselves and 1 on all their students. The 1 from their self is then from their Shaykh. Their Shaykh is playing the suhbat at that time. 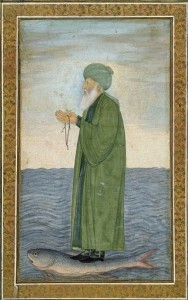 He looks through his inventory, ‘We are gonna talk about this, click, ding,’ and the Shaykh here stars talking – right? You are the speaker. When you are in taslim because he is teaching the student because he has been taught. When he is in taslim, his ears are submitting, his eyes are submitting, his breath is submitting, his tongue is submitting. Everything is submitting; he is like a speaker for them. They merely pick the playlist and when they play it, that speaker is playing. And at the same time, they are training all the students that are in their association: be in taslim, submit, submit. The more you submit, the more that light can come to you, the more that energy can come to you and they don’t even have to say anything. The energy and the frequencies that are emanating from the heart and from their soul is by Bluetooth going and hitting onto your speakers. You may hear it and nobody in the room heard a sound. Isn’t that what happens with the speaker? If I play it, nobody heard the salawats going through the phone and going out. But as soon as the speaker heard it, it begins to play it. These technologies Allah (AJ) is not that you become bud parast (idol worshiper) and you worshipping these speakers and these technologies and you walk around with all your phones and all your devices. This donkey form, it has a tremendous power from the world of light but if you are only using this body to eat, drink and to produce waste, that life has been wasted. But if you reach to the reality of the soul and understand from malakot that these lights are powerful. That attendance into their association not like attendance anywhere else. The frequency in which they are emanating and resonating changes the whole association and they can do it by lisan (tongue) or by khafi, by qalb (heart): by khafi much more powerful. The full force of their soul is moving out like Bluetooth. Those that attune themself, that is why Allah (AJ) and the Ocean of Ihtiba (obedience) and to follow. When you are following loyally and you are in submission, you don’t go left and you don’t go right; otherwise your speaker is not ever going to be attuned to the right Bluetooth, you are going everywhere. That is why the turuqs, they teach that, that is why we asked about the breastmilk, is that when you take from somebody you are responsible to that one that you took that knowledge from. That one is like a mother. You have a responsibility, you have now relationship. That is why we don’t sit in 50 different associations taking from 50 different mothers, you won’t know who is your mother and who is your father. But that loyalty that they want and what they want to teach from us is that it’s going to bring the attunement. When you are loyal and you are in taslim and submitting and you are taking from that milk and from only that reality, you are now being attuned, you becoming like a speaker. So every frequency that coming from the Shaykh is then dressing and you are picking up the frequency and all its realities. We pray that Allah (AJ) dress us and bless us from these lights and from these nights, InshaAllah.